Please be careful with these fraudsters and their fake version of HMRC or FCA (official) websites. As regarding to FCA, the cloned websites are very convincing and claim to be authorized by the official website. However, it is usually with a modified or no warning page and maybe missing details compared to the original website. For more information, please visit Financial Conduct Authority or HMRC, you will find examples of bogus emails, text messages and PDFs from fraudsters and ways to report them to the officials. Scammers have been targeting residents in the UK who want to apply for the European Health Insurance Card. Fraudsters typically use unofficial websites and try to trick people into paying an application fee (around 10 pounds) for the EHIC card, which is supposedly FREE if applying on the government website or NHS. However, with the current uncertainties surrounding the Brexit deal, it is not safe to say if UK citizens will still be able to enjoy the EU health insurance in the future. Scammers might try to confuse people with the current uncertain circumstances, saying that it is possible to attain a EHIC if the victims are willing to pay. We advise you to make inquires to the officials and make sure it’s free to apply! According to FCA, £197M were lost due to investment scams in 2018. All business owners are trying their best to prepare for the impact of Brexit, as nobody is sure about its influences on UK’s economy. Scammers are trying to take advantage from this situation, by recommending new investment opportunities or switch to other choices of investment to protect themselves from the aftermath of Brexit. They most likely will contact business owners via calls or emails with a deal that sounds too good to be true, and make an attempt to convince you to part with your money. Beware of plausible websites, text messages or emails that are related to Brexit investments, please always search for information about them online and contact the officials if needed. Whether it is no deal or yes deal Brexit, it is quite sure that it will affect the current UK bank’s access to the European payments infrastructure. Fraudsters will definitely take this opportunity to deceive people. For example, they may claim to belong to one of your banks, insurer or other financial services providers and ask for your personal information or bank details. To conclude the above Brexit scams, fraudsters are mainly trying to attain personal information and bank details. We strongly recommend you to contact your bank or the government in order to make sure if the calls are genuine or not. Moreover, emails, PDFs and text messages that seem suspicious are highly suggested not to be opened and to be reported to [email protected] before being deleted. Find out more information of how to recognise if a contact from HMRC is genuine, and how to recognise phishing or bogus emails and text messages. tellows-Team hopes you enjoyed reading this article. 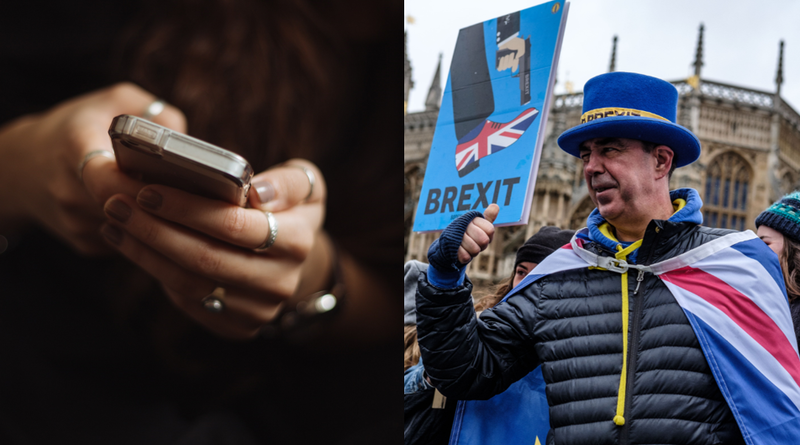 Although the rising numbers of phone scams related to Brexit is for sure not a good thing, we can at least share scammers’ information to protect ourselves. 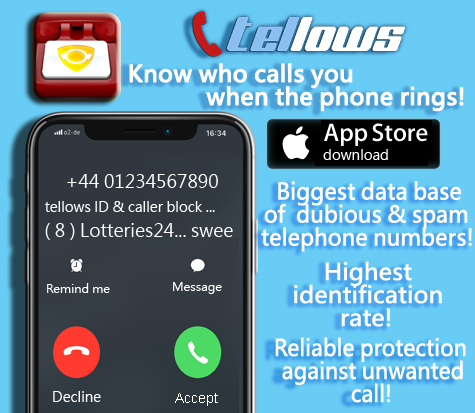 Register as a member of tellows and start sharing dubious phone numbers’ information! 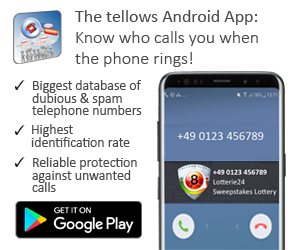 The tellows app also supports Android and iPhone, try out our app now and let us know how you like it by leaving a comment. We welcome any suggestions and reviews of our platform and apps.